A set of 52 watercolour cards to create conversations of hope and change. 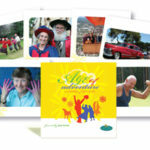 Angels is a set of 52 exquisitely-illustrated, heart-warming cards featuring ‘everyday’ angels. Each card represents an important quality or skill that we may want to celebrate or invite into our family, workplace, classroom and community, such as contentment, peace, assertiveness, clarity, openness, balance or adventure. Counsellors, social workers, teachers, trainers, managers and motivators can use these cards to build conversations, encourage storytelling, and help people of all ages think differently about who they are, what is important, and how to navigate life’s ups and downs. Is there are card that reminds you of someone you know? Think of someone who could really use some support right now: What card represents a quality you would want to ‘visit’ them? Is there a card that represents a strength you would like to develop more? What is one step you could take towards this? For something you are about to undertake, which two cards represent the strengths you will need most? Innovative Resources recognises that angels have particular resonance and specific meaning for various religious traditions. This is greatly respected. Our Angels card set simply uses the metaphor of an everyday and very human angel as a way of focusing on strengths, capacities, skills, qualities and goals that may be appropriate for everyone, regardless of cultural background or religious affiliation. Angels is based on the understanding that by strengthening our capacity to notice and name the strengths and blessings that come into our day, we strengthen our own capacity to develop and communicate them. In this way we become a more abundant source of those strengths for others and for ourselves. ‘The Uses of Angels,’ SOON 68, July 2014. The Angels cards use the metaphor of an everyday, very human angel as a way of focusing on people’s strengths, capacities, skills, qualities and goals. The cards are based on the understanding that by strengthening our capacity to notice and name the strengths and blessings that come into our lives, we strengthen our own capacity to develop and communicate them. Trace Balla, the illustrator of the Angels cards, gifted one set of Angels to a close friend, who uses them regularly for personal contemplation and creative activities. Her friend ‘loves using them,’ Trace notes, and has tried several of the activities suggested in the Angels booklet. Donna McGrory, life coach and author of the forthcoming Life Tweaking cards, has used Angels specifically for storytelling. She used them with a group of six people who were long-term unemployed to help them explore how they wanted to feel and what they wanted in life. The group had been together for three weeks and ‘were working really well together. They felt really safe,’ she recalls. Singapore is just a nod across the waters from Australia. Last October we were delighted to host Elizabeth Quek when she visited our bookshop in Bendigo. Elizabeth is a social worker and regularly uses Innovative Resources’ materials in her work. So naturally, when she headed home we made sure she had a copy of our newly published Angels cards. A few weeks ago, Elizabeth sent this touching account of a mother’s response to the Angels cards. ‘Diyana’ is a young single mum who has been divorced twice. Her family has had trouble with loansharks and Diyana’s relationships with her own mother and grandmother have been difficult. For a long time Diyana and her daughter ‘Sarimah’ were homeless. But recently, there have been positive changes in Diyana’s life. Elizabeth has been working alongside Diyana to build her confidence and offer support. During their sessions together, Elizabeth helped Diyana reflect on unresolved distress and identify a range of factors can that can keep her focused and energised. One of Elizabeth’s actions was to write a ‘letter of reference’ for Diyana with statements affirming her strengths and hopes for the future. The letter is a way of celebrating Diyana’s learning from her life experiences, and also provided Diyana with a lasting reminder of the positive qualities other people see in her: her sense of adventure and curiosity, and her ability to cherish joyful memories. During her conversations with Elizabeth, Diyana talked about her relationship with her daughter Sarimah. Although the difficulties of Diyana’s situation have often made her feel inadequate as a mother, Sarimah’s resilience was a constant source of strength for them both. Sarimah ‘never cried or complained’. Diyana remembered that, as a six-year-old, Sarimah knew how to manage her pocket money sensibly, even telling her brother not to ask Diyana for money and offering her own savings to him instead. When Elizabeth produced the Angels cards, Diyana chose the ‘Wonder’ card depicting a woman walking with a small child. Diyana interpreted the card as ‘Wander’ and said it looked just like her and her daughter. She was tearful as she reflected on her daughter’s strong character and its importance for her. Even when they were constantly travelling from place to place, Sarimah was happy just to sleep in her mother’s lap. ‘We were both snivelling at the end of the session,’ Elizabeth recalls. As well as using the Angels cards and preparing the ‘letter of reference’, Elizabeth also made up a ‘Winning in Hardship Certificate’ to honour Diyana’s progress and insights. Diyana’s path won’t be easy—there are still tensions in her family and sadnesses to reconcile. But in Sarimah, Diyana knows she has an everyday angel who has helped her get through tough times. Now, with her confidence bolstered, Diyana is determined to continue her journey towards a brighter future for them both. ‘Dial an Angel: Crisis hotline training for AWARE workers, ’ SOON 64, March 2014. Hey, I wanted to let you know about a training session we ran this week. It was for a leading local women’s rights and empowerment agency in Singapore. In their twenty odd years of existence, I am their first male trainer—OK, that got me freaked out a bit!!! Anyway, the training was part of a series of workshops organised to equip them with the theory and skills to staff their crisis hotline for women. My session was on understanding family and marital issues. I did my stuff and as a closing exercise I used two card sets, Symbols and Angels. First I divided the participants into two groups. The first group picked Symbols cards to represent the pain, anxieties, worries, concerns and ambivalence the women who call in may have. They then placed all these symbols in the centre the room and explained their choices. You can see the ‘inner circle’ they created. Then the second group chose symbols that depicted how callers might feel at the end of their journey of healing or decision making. That’s the outer circle. The volunteers won’t complete the entire journey with callers, but they will be a crucial first link. Then I lined all the Angels cards around the two circles of Symbols cards, and asked the staff to pick an Angel, skill or hope that they would like to have to help them in their work with the hotline callers. Next I invited them to place their Angels card in the space between the symbols of pain circle and the journey’s end. They expressed their hopes as they placed each card on the ground. We had good feedback from this exercise. Wanted to let you know I’m still working hard to use the cards in different ways. I only wish I could cover more cases and group work!